It’s what I’ve tried and it worked BIG TIME for me. So far, I’ve been with a local hosting company and I’ve had no issues these years. Have I always been with them? When I started out with web designing, I shared my experience on my blog how I did my first website. You can check it out here. Choosing a web host partner is a very crucial factor in professional website designing. It can indeed make or break your online efforts. I say a partner not a firm or company because, from my experience, I’ve really had it rough going through the pain and hassles of having to work around troubleshooting my website (ALL ALONE) even as a green horn without the required and urgent support I dearly needed. If you read the blog post, you would really understand my standpoint. It’s important you get a web hosting partner that is willing to understand your needs as reflected in the client’s brief. A web host partner that gives you the needed and timely support is golden. In my case as shared on blog, I did not get, despite frantic efforts I made to reach customer service and technical support departments, the help I urgently needed to save my desperate situation at the time. With this firm, I was “unfirmly” gripped and unfairly treated. You need to be able to call upon your web hosting partners whenever there are issues to ensure a quick resolve. This support was what I did not get with my former hosting company probably because they are based abroad. I did everything possible from calls to emails but all my effort was futile as I still lost on all ends. Your next step after financial commitment from the client is to use available tools in searching out the domain name as specified by the customer. Sometimes the client may choose to do this with his team in order to be able to have a wide variety of options to choose from, it could also fall on you to find alternative domain names and forward your advice if you happen to be around the client at this stage. After all this process has been properly attended to, just secure the domain and hosting by quickly paying (online or offline) for it. Now let’s get down to something more exciting. The old saying “a stitch in time saves nine” couldn’t be more applicable than when it comes to launching a new website. 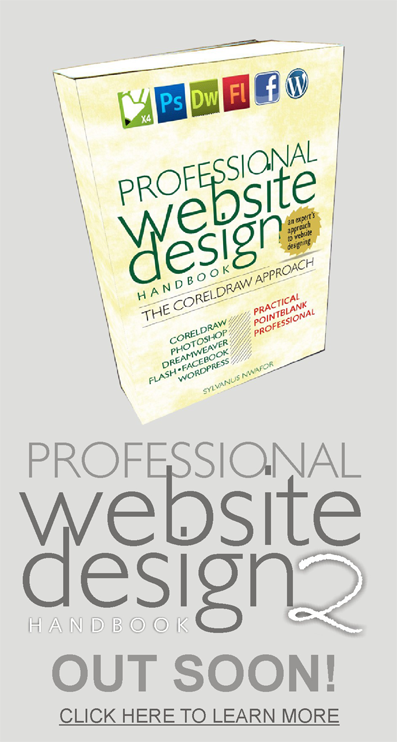 Making the right choices before you launch a website can save a lot of time later. Obviously, one of the of the most important decisions you’ll need to make when launching a new site is your domain. Since about 83% Nigerians today buy online today, search engine traffic is critical to the success or failure of most e-commerce websites. This results in search engine optimization, SEO, being a common decision-making factor for choosing a domain. How Will My Domain Name Impact SEO? Let’s examine each of these in more details. Historically, many SEOs strategies chose domain names that included their target keyword phrases. For example, if you wanted to rank for the keyword like “green widgets,” you might use a domain such as “greenwidgets.net” (Exact Match Domain or EMD) or “greenwidgetsshop.com” (Phrase Match Domain or PMD). The presence of the keyword phrase in the domain made it easier to gain a high ranking for that keyword phrase. With the introduction of recent algorithms such as the Penguin Update and the Exact Match Domain (EMD) update, Google has changed how they view domains that include keywords. Is it still worthwhile to choose a domain that includes your target keyword phrase? From this data, we can draw the conclusion that EMDs and PMDs (all black-hat strategies) no longer provide the same ranking boost that they used to. However, EMDs can, and in many cases do, still rank well. On the long haul, you may be pruned out. So why not go for a solid rock long term investment? If you already own an EMD or PMD, you don’t necessarily need to get rid of it. If you’re buying a new domain, an EMD or PMD isn’t necessarily bad, but branding factors are more important these days. It may interact with SEO in a less obvious way, but branding is actually the most important SEO consideration for purchasing a new domain today. Your online brand (how people perceive and remember you) will directly impact your SEO efforts and results. Neil Patel, in his “Advanced Guide to Link Building” emphasizes the use of BRANDED TERMS in making your site have a natural link profile. You’ll notice in the illustration here that the link profile for his website, Quicksprout.Com tend to have a majority of its anchor text as brand name. You see that 6 of the top 7 of website, QuickSprout, anchor texts are variations of the brand. “Brands are the solution, not the problem. Brands are how you sort out the cesspool.” ~Google CEO Eric Schmidt submits. A strong online brand means users are more likely to click on, read, share, and link to a website…all of which will help the site gain higher Google rankings Choosing a domain as the foundation of your online brand. The first step in building a strong online brand is choosing a good domain. Not Error-Prone. For instance, a domain such as “example.ws” is a branding nightmare, because users will tend to type “example.com” instead. “Delicious” changed its domain name because so many users got confused by their non-standard domain. Short. Most well-known online brands are 1-2 words or less. SEOmoz suggests sticking to a domain of 15 characters or less. 1. Domains that include hyphens may be a negative SEO ranking factor. 2. Many users will type the domain without the hyphens and end up on a different site –making you lose out on your page appearing on search results. 3. Hyphenated domains are often perceived as lower quality. Domain name extentions just shows the category the website belongs. For example, a domain name carrying the “.edu” extention clearly shows that it belongs to the educational sector. From an online dictionary, The definition of a domain extension is the notation at the end of a web address that specifies an Internet category or a country code. An example of a domain extension which is a country code is .ng, .us, .uk or .de. 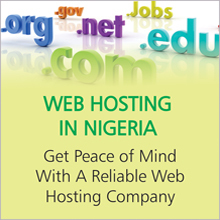 In rounding off, it’s important you sit back and decide on the best web hosting company in Nigeria that meets your needs and also has great client support. Taking time to put some of these points into consideration would save you hassles that may come from ignoring them. Hey It’s my birthday today.